Tillage-Live takes place on Wednesday 14th September at Monks Kirby, Rugby Warwickshire. 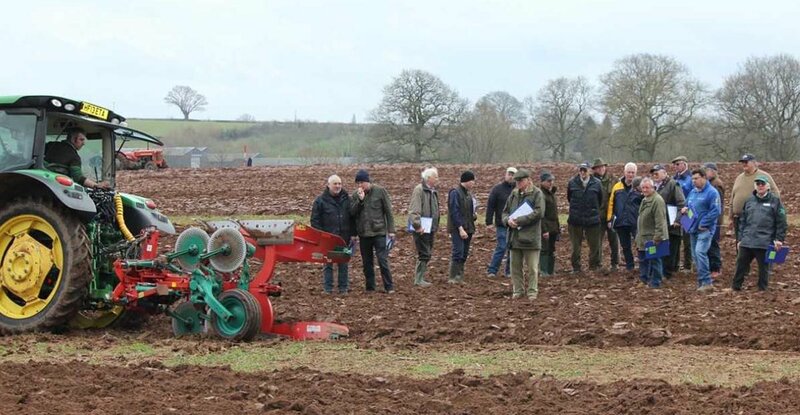 Organised by the Agricultural Engineers Association (AEA) on behalf of the industry, Tillage-Live will follow the format of last year’s event but with additional stops on the Knowledge Trail. “The event also offers operators hands-on experience with the latest equipment and the chance to compare performance on the same soil type on the same day,” Duncan added. Tillage-Live runs from 8am to 3pm and offers operators hands-on experience with the latest equipment and the chance to compare performance on the same soil type on the same day. NRoSO & BASIS points are available. There will also be the chance for operators to drive the latest sprayers in a special area as well gaining experience of using guidance and auto-steer equipped tractors and machines. Many leading companies have taken trade stands where a wide range of equipment will be on display and the working demonstrations on large realistically-sized plots, remain t the heart of the event with manufacturers working the latest equipment suitable for the region’s crops, conditions and techniques. Full details of the event can be found at www.tillage-live.uk.com including details of pre-registering where the cost of entry is £7.50 per car. If you are organising a mini bus or coach, then please contact the organisers on 0845 4900 to arrange entry to the venue.